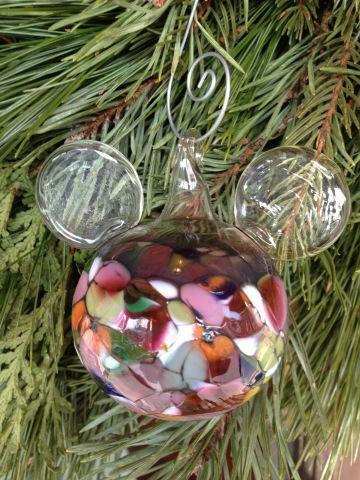 I LOVE these glass Mickey ornaments. Wouldn't it be great to have a tree full of them? Yes, this is a GORGEOUS piece of glass! I love it. Very unique. What a special surprise finding the magic, tucked away, when you least expect it. We had a similar experience with an ornament we bought this year.